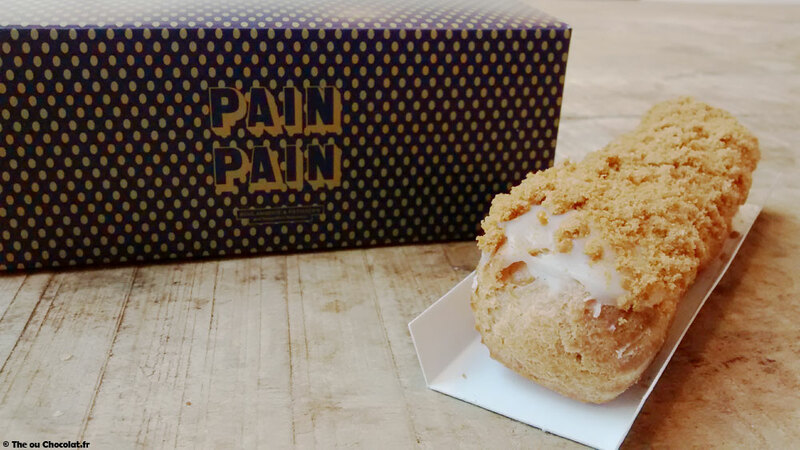 Yes, it’s very rare that I make bakery reviews on the blog, being rather focused on tea rooms and restaurants … but Pain Pain is more than a simple bakery: it’s a whole universe created around original and traditional creations. 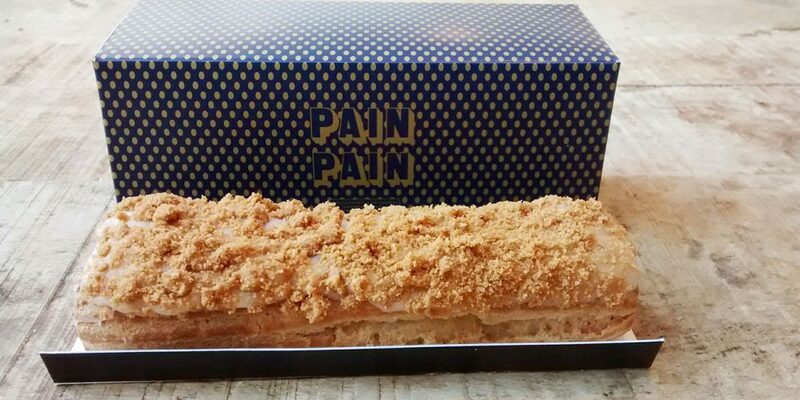 I made the trip from my work to this bakery after seeing the pretty wrappings in the collective kitchen, and hearing colleagues compliment Pain Pain. 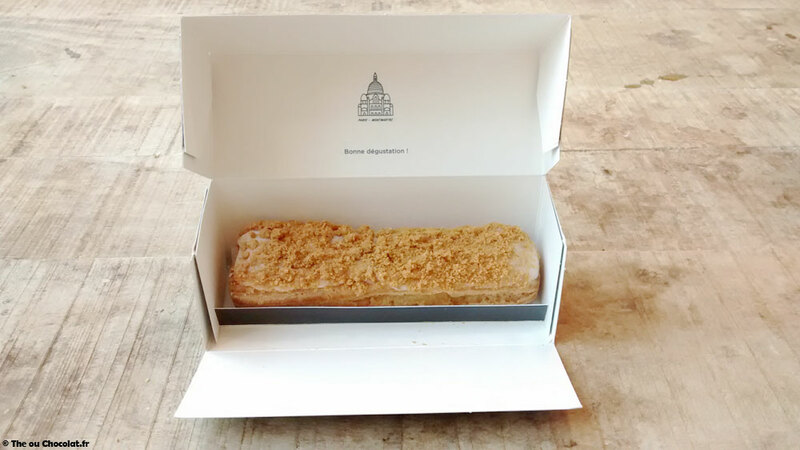 So me too, I went, but just for a snack … I chose an éclair of speculoos to change with classics chocolate éclairs, and I have not regretted my choice! 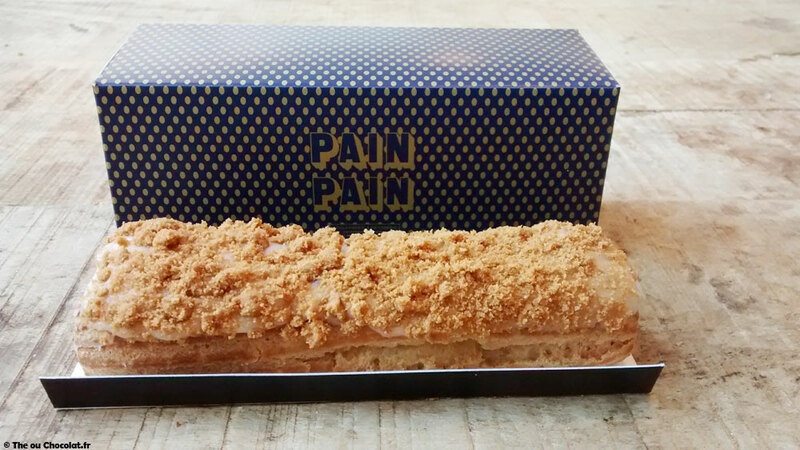 The dough was crisp, the pastry cream had a lot of flavor (caramel), and the crumbling of speculoos on the top added some crunch and texture. And the cardboard box is absolutely sublime, with a sharp sense of detail (“Good tasting” with the image of the Sacré Coeur that appears when opened). 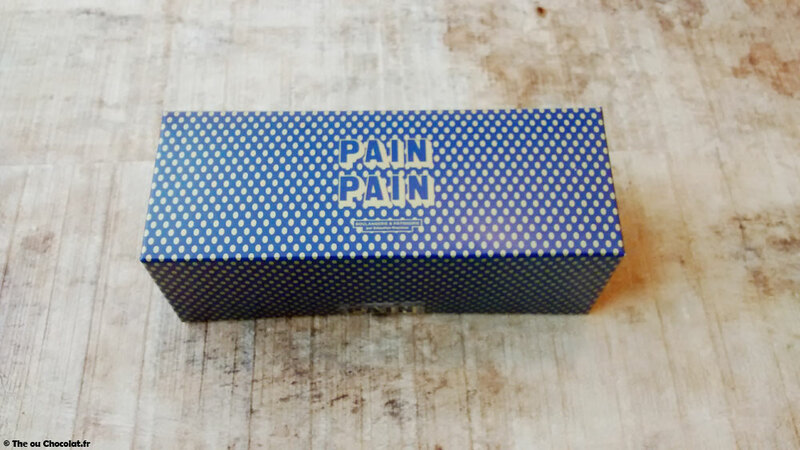 Finally, it is certainly more expensive, but I will go back to Pain Pain because it was as good as beautiful! Next post ORGANIC WINE: What is an organic wine?